If you’re a caffeine addict who’s having a hard time taking our guest blogger’s advice on how to cut down on coffee, you might like today’s guest post. Today Tori toots the benefits of coffee, so you might want to reconsider going through withdrawal if you decide caffeine IS your cup of tea. Do you amble down the hallway in the morning, dragging your right foot behind you like a zombie in a movie? Are you just one step away from heading off in search of brains? If you’ve given up your morning love affair with coffee, we’ve got five fantastic reasons for you to restore your relationship. Granulocyte colony stimulating factor, or GCSF, is a long, fancy name for the growth factor that may be able to fight off Alzheimer’s disease. Although studies have only been conducted in mice, researchers believe that there is a key ingredient in coffee that interacts with caffeine to boost the levels of GCSF in our brains. No one is exactly sure what the key ingredient is, but if drinking coffee might help fight off Alzheimer’s, who are we to quibble? Men who drink between one and three cups of coffee a day reduce their risk of prostate cancer by 30 percent. Men who drink six cups a day reduce their risk by 60 percent. If you’re a man, do you really need a better reason to start your day with a mug of steaming hot coffee? Because prostate cancer is potentially deadly, we’d like to suggest that coffee may be a life saver. Basal cell carcinoma is the world’s most common type of cancer. Researchers have discovered that men who drink more than three cups of coffee a day reduce their risk of developing skin cancer by nine percent. Women who drink the same amount reduce their risk by 20 percent. Drinking four cups of coffee a day doesn’t mean that you can turn into a sun worshiper, but it probably means that you don’t have to reapply the SPF quite as often. Remember, your coffee must be caffeinated for you to reap these benefits. 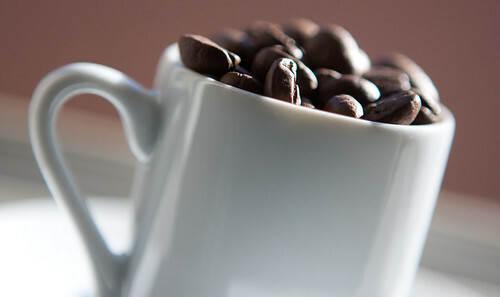 It’s believed that coffee can lower your risk of developing Type 2 diabetes. Scientists have stated that more research is needed, but the current thought is that the more coffee you drink, the less chance you have for spending the rest of your life checking your blood sugar. In fact, for every cup of coffee you drink per day, you decrease your risk of developing Type 2 diabetes by seven percent. Women who drink just two to three cups of coffee per day decrease their risk of depression by 15 percent. Drinking four or more cups a day can reduce women’s risk of depression by 20 percent. Caffeine is known to modulate the release of mood transmitters in the brain. These transmitters can stabilize your mood and keep you on a more even keel throughout your day. Coffee can’t pay your bills for you, but coffee can make dealing with them a little easier. If you’ve given up coffee, pick the habit back up! While it’s true that too much caffeine can be bad for you, research tells us that drinking to three or four cups of caffeinated coffee a day is perfectly safe. If you’re looking for a reason to justify your coffee addiction, we just gave you five great ones. Tori Smith lives and writes in Baltimore, MD. She writes for www.healthtestingcenters.com where you can find more information on health issues. What do you think, Readers? Can you handle 3 or 4 cups of coffee a day? Is it healthy? How much is too much? Let’s hear your thoughts!